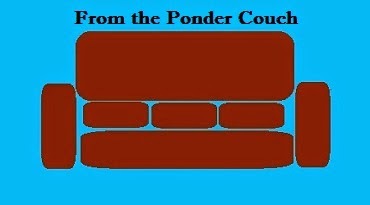 From the Ponder Couch: A Late-Night Trip to Marsh with sethifus! Yesterday was Saint Patrick's Day. After Princess Melawesome and I had a few drinks with friends we decided to stop by a Marsh grocery store on the way home to get some snacks and more drinks to see us through the rest of the evening. The title says "Late-Night" but it was only about 10 o'clock. It seems like I keep seeing Crystal Pepsi everywhere. I see Surge on occasion too, but not as often as Crystal Pepsi. I saw a big cardboard display tub of them at Target the other day, I see them at random gas stations, and now Marsh a few times. It kind of bothers me. It wouldn't, but since it came back in the same year that they brought back and discontinued Ecto Cooler, well... it kind of feels like rubbing salt in a wound. Now I have a bit of a problem with anthropomorphism. It was exacerbated by "The Christmas Toy" and the "Toy Story" movies. So when I saw Lamb Chop hanging up there in the dog toy aisle, I considered buying her so she wouldn't have to end up mangled by a dog. But then I thought more about it and thought, "But what if she wants to get mangled by a dog because it's her purpose as a dog toy?" Then I just felt all kinds of mixed up and walked away trying not to think about the even smaller version of Lamb Chop on a higher peg. Wine Gums are pretty tasty. I tried them one year at Irish Fest. But these boxes frustrated me even further because now Marsh has Wine Gums and Pims (which are pretty much Jaffa Cakes) but they don't have Jelly Babies! And like any good Doctor Who fan, if Jelly Babies were available at my local Marsh, I'd always have a steady supply of them in my house. But NOPE! Just Wine Gums so far. At least there are Wine Gums. Candy shell chocolate eggs (yum), Doritos Loaded (I haven't tried them yet because the box doesn't tell you how to microwave them, they look like they'll be gross though), Tontino's Pizza Sticks (good if what you want is a long pizza roll), Japanese noodles that look like ramen (figured I'd see if they were any different from the ramen I usually get), Laughing Water beer (the only individual big beer bottle I could find at this Marsh, it's okay), Woodbridge Wine (the favorite wine in the Ponder Haus), and Starburst Jellybeans (the only jellybeans I really like). and I thought to myself, "When did Mentos start making caramel candies?" Wow, after reviewing the pictures I took, that late-night trip to Marsh made me angrier than I thought. Good thing it's not Saint Patrick's Day anymore.